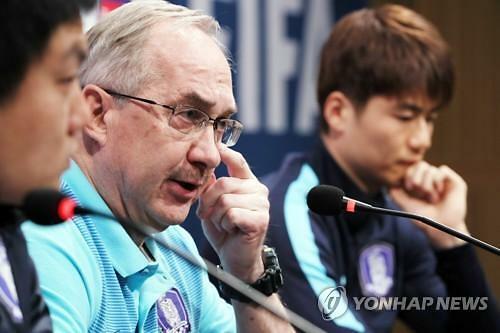 Uli Stielike retained his job as South Korea national football coach Monday after his poor performance in the Asian qualifying round for the 2018 FIFA World Cup sparked calls for his resignation. The Korea Football Association (KFA) said its technical committee decided to stick with Stielike because it's not easy to find his replacement. His contract runs through the 2018 World Cup, but if South Korea fail to qualify for the tournament, his deal will expire. South Korea are in second place in the six-nation group with 13 points on four wins, a draw and two losses, four points behind Iran. With three matches left, fans called for Stielike's resignation after South Korea lost to China 1-0 in Group A action of the final regional qualification round and edged Syria 1-0 last month. 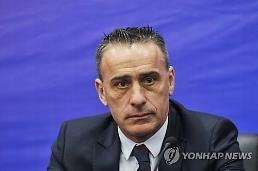 South Korea are in Group A, along with Iran, Uzbekistan, Syria, China and Qatar. After playing Qatar on June 13, South Korea will face Iran on August 31 and Uzbekistan five days later.Uzbekistan are just one point behind South Korea in third place. Only the top two teams directly advance to the World Cup in Russia, while the third-place team must go through playoff rounds. South Korea have played in the past eight World Cups in a row. Since Stielike took over the national team in October 2014, South Korea have scored 27 wins against four draws and six losses. Yonhap News Agency quoted KFA Vice President and technical committee head Lee Yong-soo as saying, "We've decided to trust Stielike once more." "I don't think it's right to judge Stielike by one or two matches." "We will prepare the next three matches with the mind that we are in a state of emergency," Lee said. "I mentioned 'emergency state' because the situation can change rapidly one match after another."